The New Contemporary is the best definition for Tonin Casa new table Ariston. 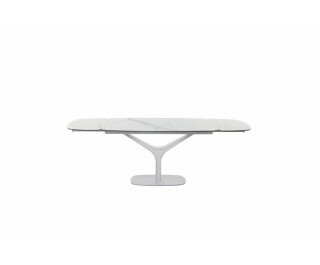 Steel firmness here becomes soft and agile thanks to the curves shaping the base of this table. Its ceramic or porcelain tops - available in all Tonin Casa finishes - are safely placed onto aluminum guide-bars, to combine elegance and functionality.